KLIM's brand new F3 Off-Road Helmet is your most-valuable riding partner for the future. It’s Composite Shell construction leads to a strong, lightweight and contemporary shell design. Structure mapped construction, a new complete comfort liner system, intelligent ventilation and the legendary KLIM quality all combined in 5 attractive designs. 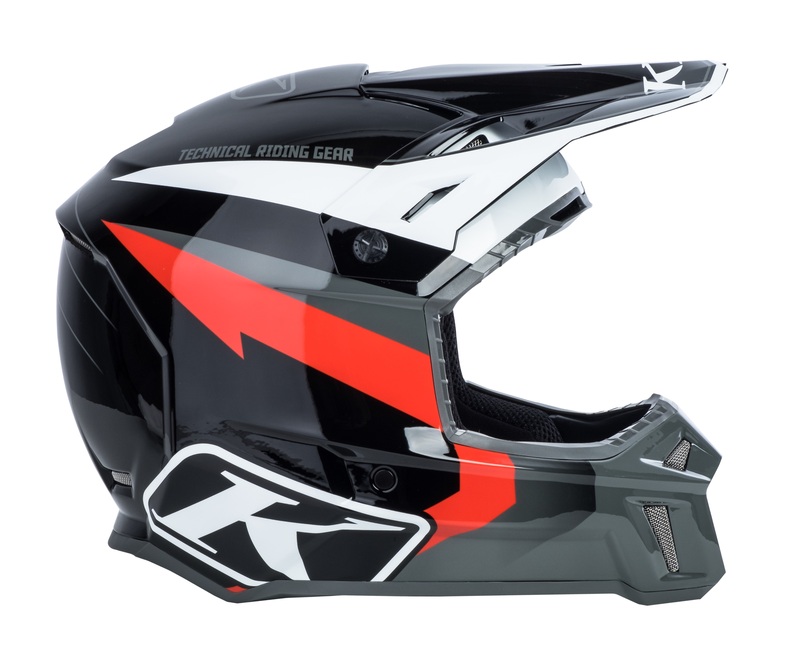 Strong and Light: KLIM took old helmet technology and tossed it. 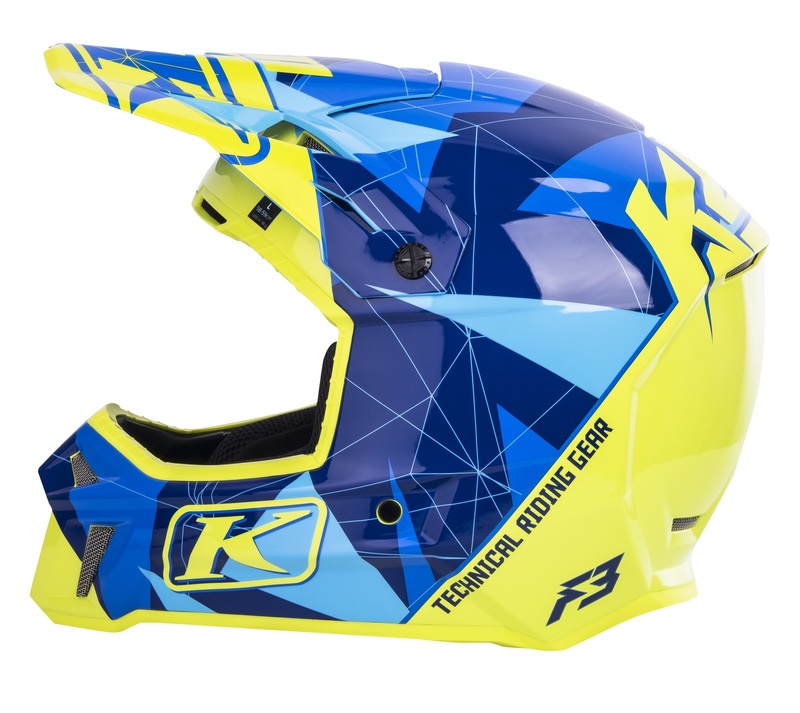 KLIM's all-new F3 Helmet starts a light and strong revolution in the Off-Road helmet segment. Constructed in KLIM's Structure Mapped Composite design, it optimizes strength in all the right areas while reducing overall weight and dimensions. With the new F3, riders enjoy up to 10% smaller external dimensions and a sleeker, more comfortable fit from three shell sizes. It features the latest Custom EPS, the internal liner system and the 3D Ergonomic cheek pads secure the rider's head completely. The Klimatek™ Fabric liner utilizes adaptive smart foam technology and anti-microbial/bacterial fast-wicking textiles. Let Off Some Steam: KLIM is the industry leader in body comfort. And developing an effective intelligent ventilation system for the F3 Helmet was key. Thirteen intake vents combined with six exhaust ports to provide optimal heat dispersion even while stationary.